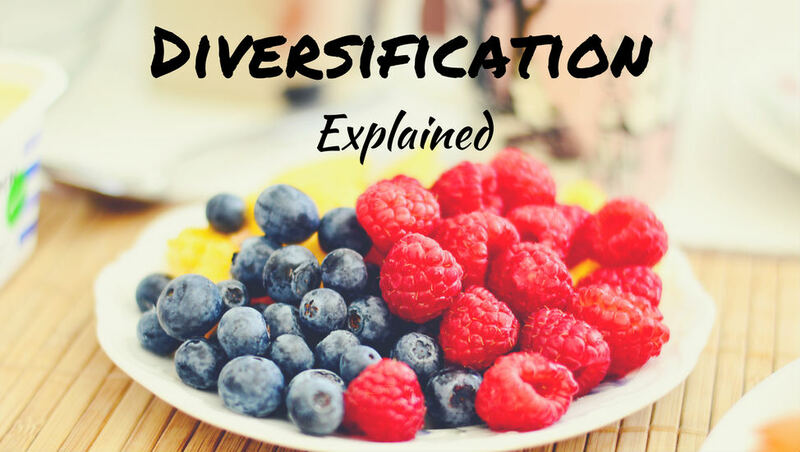 If you’ve read up on investing, you’ve almost certainly heard of the term diversification and know that it’s a good thing. You might even know that diversification is generally about spreading your money across multiple different investments so that you don’t have all your eggs in one basket. That’s a good start, but my experience says that there’s a lot of confusion about diversification beyond that basic definition. And that confusion often leads to investment portfolios that aren’t truly diversified, which can lead to under-performance and sometimes even portfolios that are much riskier than you think. Simply put, diversification is the practice of spreading your money out over a number of different investments. Instead of investing all your money in Apple, you buy an index fund that owns a little bit of every company. Instead of investing all your money in US stocks, you put some of it in international stocks as well. The one downside of diversification is that it removes the possibility of having big money in the next hot tech company no one saw coming. You aren’t going to get rich quick by diversifying. But there are two big reasons to diversify that, honestly, are much more reliable than the dream of striking gold. There’s a golden rule in investing that’s virtually impossible to break: if you want the possibility of better returns, you have to take on greater risk of not getting them. This trade-off is the whole idea behind finding a balanced asset allocation. Stocks give you higher upside but come with higher downside. Bonds will almost certainly produce smaller returns, but they make for a smoother ride. Finding the right balance between the two allows you to get long-term growth without risking too much in the process. But there IS one way to decrease your investment risk without decreasing your expected returns. Only one. And if you haven’t already guessed, it’s diversification. Here’s how that works. Diversification decreases your investment risk by removing the possibility that any one bad company or one bad industry could bring down your entire portfolio. If you have all your money invested in a single company and that company goes bankrupt, your account balance goes to $0. But if you have a little bit of money invested in a lot of companies, no single company can hurt you too much. Your account balance will still rise and fall, but those ebbs and flows will be smaller because they’ll be based on the collective movement of an entire group of companies instead of just one. In addition, you remove the risk of missing out on the next hot company or the next hot industry. When you have a little bit of money in everything, your guaranteed to participate in the growth of the next big thing. That decreased risk is the primary benefit of diversification. But here’s the really cool part: diversification decreases your investment risk without decreasing your expected return. It violates the golden rule of investing, and it’s the only strategy that does so. Why is that the case? I said above that diversifying removes the possibility of striking gold, and that’s still true. Your possible return does likely decrease by diversifying. But here’s the thing: stock picking is a matter of luck, not skill. Year after year the world’s best investment managers are compared to simple index funds, and year after year the professionals come out behind. And even the ones who do manage to outperform over one time period are less likely than pure chance to outperform again over the next time period. Sure, Warren Buffett exists and he has genuinely outperformed the stock market over a very long period of time. It can be done. But Lebron James also exists. Would you bet your financial future on your ability to be one of the greatest basketball players of all time? Given what we know about the futility of picking stocks, there’s no reason to expect that any one stock will outperform any other. Of course there will absolutely be winners and losers. But we don’t know which is which ahead of time, so every stock has the same expected return. Which means that whether you invest in one stock or many stocks, you have the same expected return. Which means that diversifying lowers your investment risk without lowering your expected return. The good news is that creating a diversified investment portfolio is pretty easy these days. You can even get it done with just a single mutual fund. Index funds are mutual funds or ETFs that try to mimic the market rather than beat the market. And index funds are great tools for diversifying because they’re often low cost and because they can immediately spread your money out over entire huge markets. For example, there are index funds that cover the entire US stock market, the entire US bond market, and all international stock markets. It’s worth noting that not all index funds are diversified. Many index funds only track a segment of the market, like financial services companies, and that narrow focus exposes you to unnecessary risk. You’ll likely want to stick with index funds that track entire markets, since that’s the best way to get the maximum diversification benefit. For more, everything you could ever want to know about index funds is in this post here: The Beginner’s Guide to Index Investing. One way to diversify within the stock part of your portfolio is to buy an index fund that tracks the entire US stock market. That alone would get you most of the way there. But you could also go a step further and find another index fund that tracks all the international stock markets. That way you’ll own a small piece of every company in the world, and no matter which country/industry/etc. is doing well, you’ll be in on the action. You could do the exact same thing with the bond part of your investment portfolio, finding one index fund that invests in all US bonds and another that invests in all international bonds. 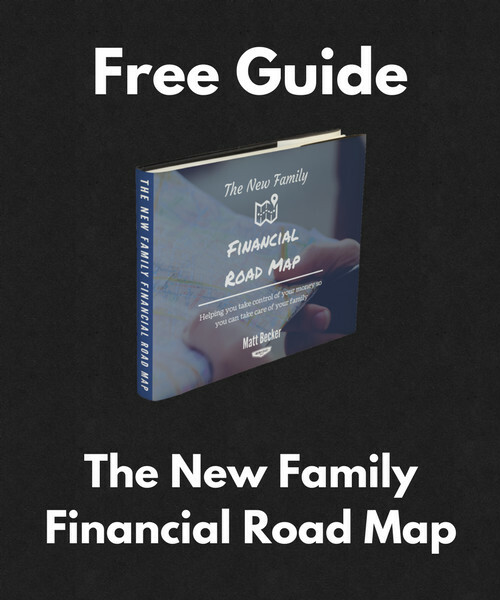 That’s the approach that gets you maximum diversification, and it’s the approach that Vanguard – the investment company I use – takes with its all-in-one funds. I happen to do something slightly different, which you can read about here, simply because I view the bond part of my portfolio as pure defense rather than an additional source of growth. I still diversify with my approach though, using index funds to mimic the segments of the bond market I’m using. Neither approach is right or wrong. They’re just different options. You can build an entirely diversified investment portfolio with just a single mutual fund. 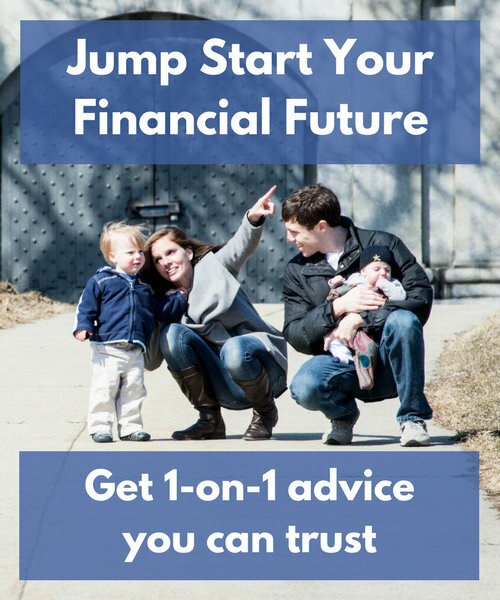 In fact, the entire premise behind target date funds is to help you do just that. In other words, investing in any one of those single mutual funds will spread your money across both the entire world of stocks and the entire world of bonds. That’s about as diversified and simple as it gets. 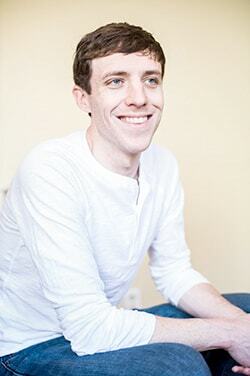 Automated investment platforms like Betterment are essentially souped up all-in-one mutual funds. They create and manage a diversified portfolio of investments, and all you have to do is choose which type of accounts you want to use and how much you want to invest. 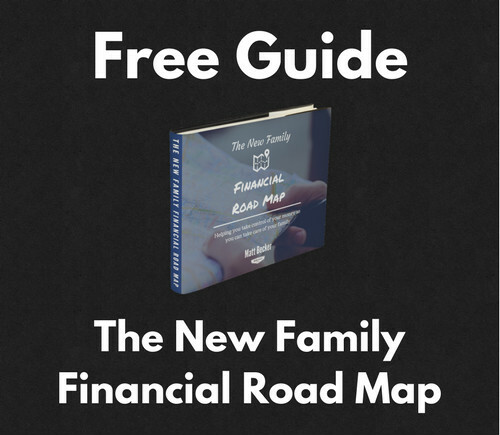 They come at a slightly higher cost than the best all-in-one funds, but they do offer some other useful features. Here’s an overview if you’d like to learn more: Should You Invest with a Robo-Advisor? 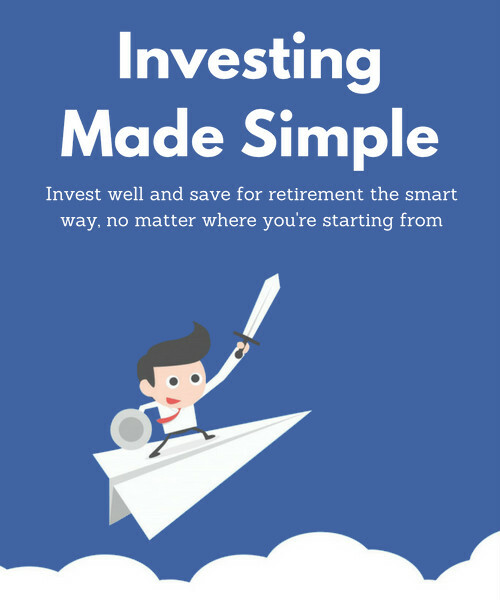 Quick note: For in-depth, step-by-step guidance on creating your personal investment plan, check out the guide Investing Made Simple. There are two big mistakes I regularly see people make when it comes to diversifying their portfolios, both of which can hurt performance and unnecessarily increase risk. I often see 401(k)s that are invested in 10 or more different mutual funds, and the reason is almost always that the person is trying to diversify. The truth is that many mutual funds overlap in purpose, meaning that you’re often not gaining much by owning multiple mutual funds within the same market segment (e.g. multiple funds that invest in the US stock market). And you’re actually often decreasing the overall quality of your investment portfolio, since you’re probably mixing some higher cost funds in with the lower cost funds, which will likely reduce your long-term return. As we talked about above, it’s fully possible to be completely diversified with just a single mutual fund. And in any case it shouldn’t take more than a few. All you need is one low-cost index fund for each market segment you want represented in your portfolio. Diversification is often confused with asset allocation, and this confusion leads people to a riskier investment portfolio than they intended. You can get all the details on asset allocation here, but essentially it’s the process of putting some of your money in high-risk, high-return investments like stocks and some of it in low-risk, low-return investments like bonds. By finding the right balance, you can get long-term growth without risking more than you’re willing to lose. For example, you might decide to invest 70% of your money in stocks and 30% of your money in bonds. That high-level decision is your asset allocation and it’s your primary way of controlling the risk level of your portfolio. Once you have your asset allocation in place, you can diversify within it by investing the stock portion in stock index funds and the bond portion in bond index funds. In that way, diversification and asset allocation work together to balance your risk with your expected return. But I often see people invested in multiple different stock mutual funds who think that they’ve done all they need to do to manage their risk. They’re confusing diversification with asset allocation, assuming that those different funds will provide different returns and will therefore protect them from losing too much money at once. The problem is that you could invest in 100 different stock mutual funds and your asset allocation would still be 100% stocks, which is as high risk as it gets. Your stocks might be sufficiently diversified, but you haven’t included any bonds to provide some downside protection when the stock market falls. Because when the stock market does fall, and it will, those 100 different stock mutual funds will almost certainly fall with it. And you’ll probably be surprised at your losses, simply because you forgot to handle your asset allocation before diversifying. Simply put, diversification is one of the best deals out there. You get to decrease your investment risk without decreasing your investment return, and who says no to that? It’s also pretty easy to put in place once you know how to do it and what to avoid. So, take some time to check your portfolio and see if you’re diversified. If not, now is a good opportunity to get it right. It’s me, Tom Schaber back again to present a different perspective on diversification this time. I have compared the performance of over 30 different recommended diversified/asset allocated portfolios to the simple Vanguard’s Total Stock Market Index Fund (VTI – but you knew that) over the long term (15 or more years). In no case did the diversified portfolio outperform the single VTI. It’s safe; it’s a Google spreadsheet as you can see in the URL. losing a big percentage of a BIG amount still leaves you with a lot more money than losing a small percentage of a little amount. Do you want more money when you retire or less. If you want more, forget about the asset allocation business and just buy VTI. And by all means, during the accumulation phase, NO BONDS. 1. You are partially confusing diversification with asset allocation here. Including bonds in your portfolio is an asset allocation decision and it is certainly not meant to boost returns. 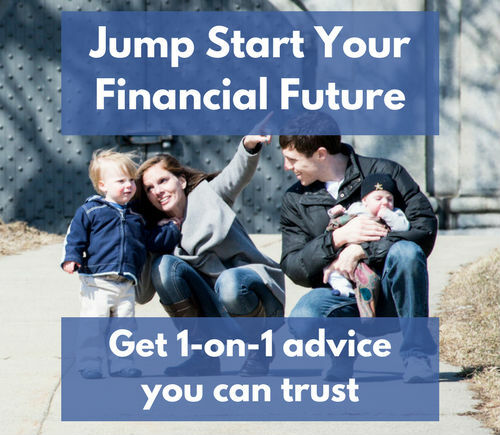 In fact, including bonds is almost guaranteed to reduce your long-term return, with the trade-off of getting a smoother ride and a little more certainty around what that long-term return will be. 2. A number of the funds you’ve included here represent different segments of the US stock market. Given that VTI already represents the entire US stock market, those funds are not doing anything to increase the portfolio’s diversification. This is falling into the trap of thinking that more funds automatically leads to more diversification. 3. A couple of the funds you included are international stock market funds, which DO increase the portfolio’s diversification compared to holding just VTI. However, there’s no guarantee the diversification will lead to better returns. In fact, there will always be something that outperforms a diversified portfolio due to the fact that a diversified portfolio owns a little bit of everything, and it would always have been better to own all of the one thing that performed best. The problem is that it’s impossible to know ahead of time which thing will perform best. US stocks have outperformed international stocks over the past 20+ years, which is why including international stocks in your hypothetical portfolio led to lower returns. But it could very well be the opposite over the next 20+ years. We just don’t know, which is exactly why diversification is able to decrease risk without decreasing expected return. Thanks KT! I really appreciate the kind words and I’m glad it’s helpful.